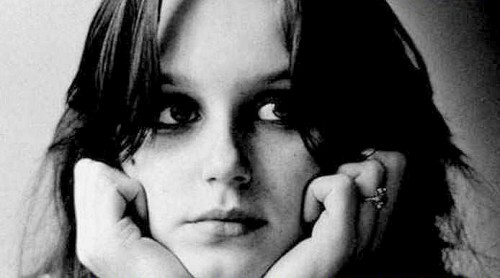 Christiane F. tells her story of major drug addiction when she was a teenager. growing up in a high concrete building in west Berlin, she was drawn to the wrong crowed of teenage drug abusers. wanting to be like the hip kids, Christiane started hanging out in youth clubs, especially the up and coming “Sound” club. there she was introduced to Hashish, Cocaine and later on to H (heroine). by the age of 14, Christiane found herself deep into H, and fell into prostitution. the full title of the film is Christiane F. – We Children from Bahnhof Zoo. the largest train station in Berlin, Bahnhof Zoo, was a main location for the drug scene back then. for years i was kind of obsessed with this film. so much i wanted to learn how to speak German. model looking actress Natja Brunckhorst makes a debut role with Christiane, and what an amazing job she does. only 14 years old and playing a drug addict like a pro. i was so impressed by her acting and could hardly believe she’s not the real Christiane. what i love is Christiane’s admiration for the legendary David Bowie. he’s an idol of mine as well, and i happen to think that was his best decade. Christiane was constantly listening to Bowie records, when her favorite one was Station To Station (also like me). 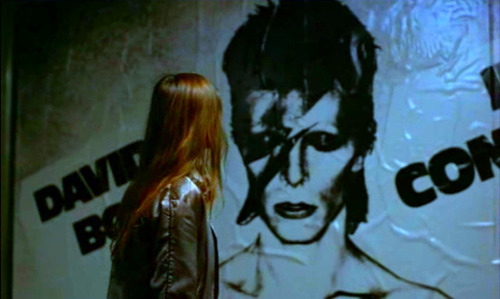 Mr. Bowie also appears as himself in the concert scene, singing my favorite song, Station To Station. to another topic, i also love the way she and her friends were dressed. the fashion those days is just fantastic. tight skinny jeans with high heel shoes, and a cool blouse and jacket. not so different from nowadays, is it? well… we don’t really have that late 70’s vibe as they used to, i’m sorry. i mentioned before, i adore films about the 1970’s. especially foreign. i love the greyness of West Berlin. so industrial and socially impaired. if i did not mention before, this an autobiography. the book issued in 1979 followed by the film. the book actually portrays the Christiane’s story better than the film… but watch the film anyhow. beautiful cast and an all Bowie soundtrack. if you are a fan like me, watch it, please. Natja Brunckhorst as Christiane F.
Christiane Felscherinow, the real Christiane F.